POPSUGAR SMART LIVING, POPSUGAR Smart Living gives you shortcuts to living your best life with inspiration and tips on travel, productivity, and happiness. What better way to celebrate the weather warming up than with a book about Spring that you and your little one can read together? 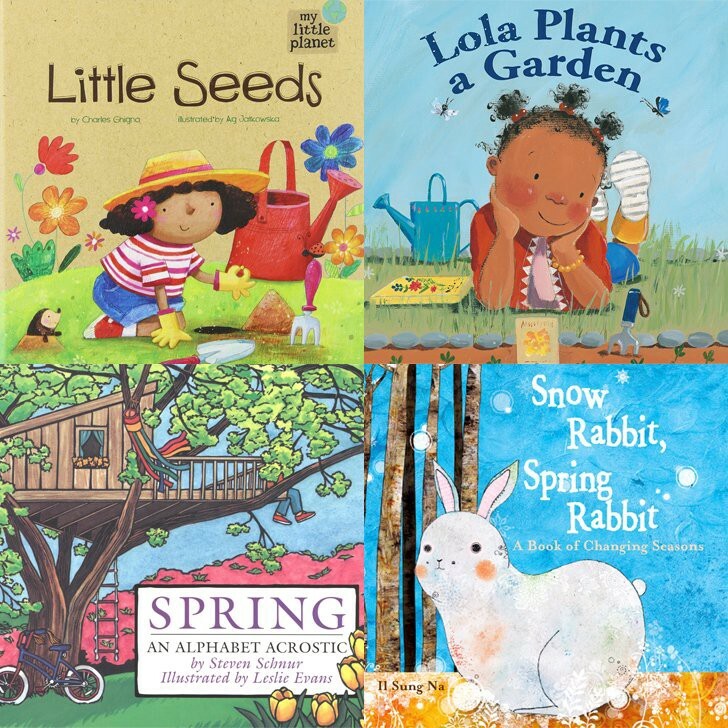 Whether you grab a picnic blanket and go out in the sunny backyard or cozy up in a chair by the rainy window, we’ve got some Spring books that your kids are going to love reading over and over again this season. Read through for our 19 Spring children’s book picks. Spring Colors by Brian Enslow ($8). Who Likes Rain? by Wong Herbert Yee ($8). Snow Rabbit, Spring Rabbit: A Book of Changing Seasons by Il Sung Na ($16). I See Spring by Charles Ghigna ($3). Lola Plants a Garden by Anna McQuinn ($16). Little Seeds by Charles Ghigna ($7). The Giant Carrot by Jan Peck ($19). When Spring Comes by Kevin Henkes ($18). Explore Spring! 25 Great Ways to Learn About Spring by Maxine Anderson ($13). Everything Spring by Jill Esbaum ($6). Feel the Wind by Arthur Dorros ($6). What Will Hatch by Jennifer Ward ($15). And Then It’s Spring by Julie Fogliano ($17). Spring: An Alphabet Acrostic by Steven Schnur ($18). Fletcher and the Springtime Blossoms by Julia Rawlinson ($16). A New Beginning: Celebrating the Spring Equinox by Wendy Pfeffer ($9). My Spring Robin by Anne Rockwell ($17). It’s Spring by Samantha Berger ($7). The Listening Walk by Paul Showers ($7). POPSUGAR has joined Thrive Global in celebration of Screen-Free Week, May 1–7, 2017. Check out our Digital Detox Challenge and inspiration for offline activities like this post.